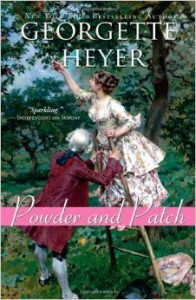 Georgette Heyer is in a class all her own with her quirky and witty ‘romance’ novels. 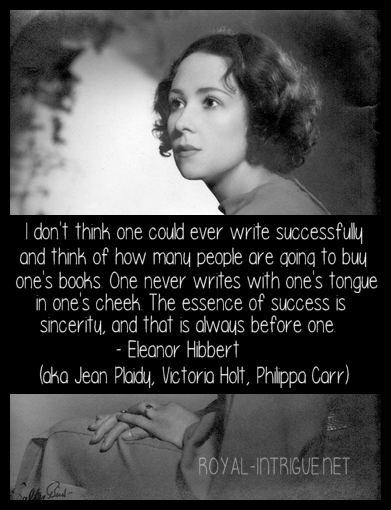 Nothing like today’s books of the genre, which are over-sexed and rarely authentic, the antiquated cadences and dialect simply cannot be matched by contemporary writers. It’s really very interesting to see the turns of phrase used, even if they sound a little silly to us now. This is perhaps my favorite part of Heyer’s writing style, though I enjoy her characters and their unpredictable escapades as well. Powder and Patch is set in early Georgian England, rather than the Regency era, but the mannerisms are nearly the same, though the dress is slightly different. Our protagonist is a country gentleman named Philip Jettan, who is very anti-dandy. He is in love with one of his neighbors, Miss Cleone and she likes him well enough, but longs for a lover who pays attention to the latest fashions and displays fine French manners. In desperation to win her affection he departs to meet his uncle in London, where they decide to travel to Paris to help Philip gain the very qualities that he himself deplores. The narration is unique – like the author is sitting by the fire reading aloud and suddenly looks up and inserts comments about her book. I find this style just as charming and entertaining as the lively characters.